150 Light Pink / Medium Pink / Gold Glitter Confetti - 1 - Wedding Confetti. Tabletop Decor. Party Decorations. Bachelorette. Baby Shower. 150 Light Pink / Medium Pink / Gold Glitter Confetti - 1" - Wedding Confetti. Tabletop Decor. Party Decorations. Bachelorette. Baby Shower. 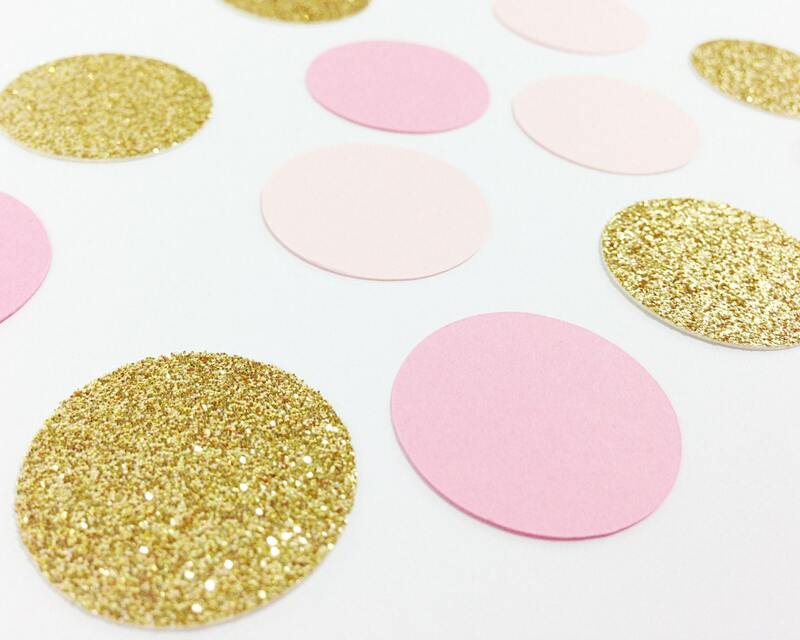 This lavish mix of circle die cuts make beautiful confetti for any surface, party, or wedding! These don't have to be used for just confetti! They can be used for scrapbooking, card making, or strung to make garland. The possibilities are endless! Used for Mom’s 80th Party...a pretty touch for party!